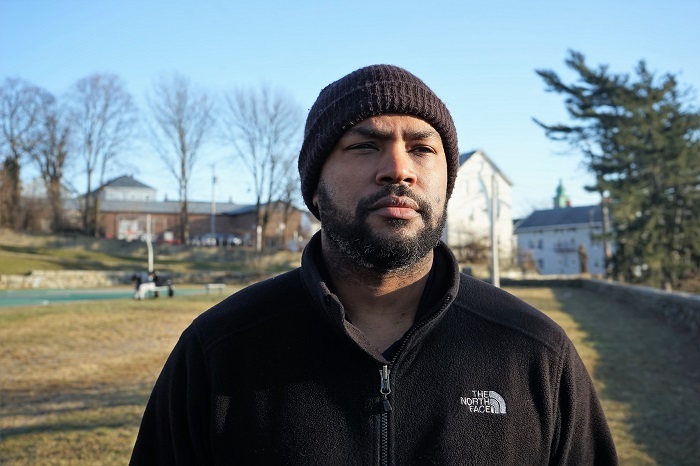 Meet Trott Lee, the 39-year old Executive Director of the Veterans Association of Bristol County. Trott was born and raised in Fall River and graduated from Durfee High School in 1998. Life was not easy growing up in public housing without a father or a big family for support. As a child, hardship sometimes forced his mother into shelters with him. He went on to serve 9 years in the United States Air Force and achieved the rank of E-5/staff sergeant. While serving his country, he studied hard in college and received a B.A. in General Studies at Wilmington University in Delaware and with the GI Bill went on the attain his Master’s Degree in Social Work at Boston University. After being part of the 2014 recall effort to successfully recall then-Mayor Will Flanagan, he decided to throw his hat in the ring, but unsuccessfully ran for City Council in Fall River in 2015 and 2017. Undeterred and learning from failure, he has plans to run for City Council again in 2019. Trott currently serves as the Executive Director of the Veterans Association of Bristol County located in Fall River where he provides resources (food pantry, clothing, and hygiene) and information to local veterans. Faces of Fall River is a project by Michael Silvia with the goal of recognizing everyday people in Fall River. Know someone that deserves to be recognized? Email info@fallriverreporter.com. Love your quote; it’s one of my favorites and actually had it printed on a t-shirt!